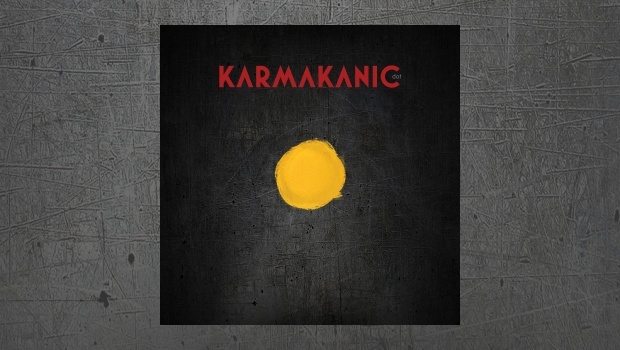 Labelled and marketed as a progressive rock album, Karmakanic’s newest release lacks the sort of authenticity and creativity that one expects from the genre. Instead, the 50-minute album is a well-recorded and mechanically composed symphonic album, that never strives to defy the modalities of its working formula, presenting listeners with a classic ‘prog-by-numbers’ album. 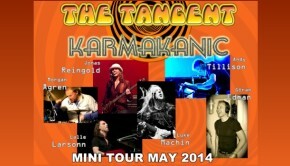 Swedish progressive rock masters Karmakanic, formed in 2002, were one of the leading figures in a wave of prog bands that emulated the sound of the symphonic rock music of the ’70s produced by the giants of the genre such as Yes, Genesis and Jethro Tull, resulting in a resurgence in popularity of the music within mainstream audiences. 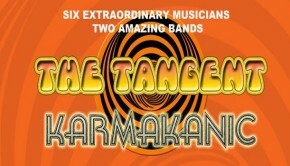 Karmakanic’s creative addition of more modern elements to their music with distorted guitars, electronic elements and synthesizers made them a popular effort within the scene. With albums like Who’s the Boss in The Factory? and Wheel of Life, the band enjoyed a good reception from listeners and reviewers alike. Led by bassist Jonas Reingold – one of the legends of modern progressive rock and the member of another big retro prog band, The Flower Kings – and comprising drummer Morgan Ågren from Kaipa, Lalle Larsson on keyboards, Krister Jonsson on guitars and Gören Edman on vocals, when Karmakanic release a new album, it’s hard not to get excited. Thus, when listening to their latest album, DOT, one can’t help asking why it feels boring, repetitive and unimaginative in some places. After the brief introductory Dot, the album continues with a big 24-minute epic in God, the Universe and Everything Else No One Really Cares About, Part 1 that pulls the listener right into the atmosphere. If the album was composed solely of this masterfully conceived track, it would likely be the highlight of the musical year. After a short cinematic, electronic intro, the epic begins with a soft piano melody and Reingold’s classic bass sound, creating a beautiful melody in which the listener easily immerses themselves. Through the smooth vocals of Gören Edman the song transitions from its ballad-y roots to a banger rock piece with distorted guitars almost in an instant. As Edman’s vocals get rougher and the guitar and keyboard take centre stage, we are pleasingly reminded of Karmakanic’s previous work. One of the stronger suits of the track is its sound mixing which is beautifully exhibited in the choral backing vocals that aid the strong voice of Edman throughout several parts of the song. The most noticeable is where the multiple female vocals cry catchy lines such as “We have the power” and “Victorious” around fifteen minutes into the song. It gives a symphonic and awe-inspiring musicality to the track, playing off the more traditional rocky vocals of Edman. The second track, Higher Ground, is also the second-longest. 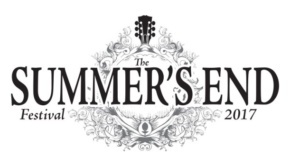 Whilst the first half of the song feels nothing more than a generic prog ballad with dreamy keyboard melodies and acoustic guitars, the second half is another showcase of technical virtuosity. While this sort of exhibitionist song-writing felt interesting and well-incorporated into the previous track, it feels repetitive here where the same melodic structures appear over and over again. Despite its flaws, the vocals, the occasional addition of strings and the heavier guitars somewhat redeem the 10-minuter. The following two songs, coming after two long centrepieces, feel like filler tracks simply to pad things out to the 50-minute threshold. Subsequently, they both feel generic and repetitive. Steer By The Stars is another uplifting prog ballad, a territory that the band has discovered multiple times, both within this album and with their previous work. Traveling Minds, with its more instrumental approach, doesn’t feel much different, especially considering how the piano-driven atmospheric second half becomes a chore to listen to. The album closes with God, the Universe and Everything Else No One Really Cares About, Part 2. The pastoral and dynamic key melodies and the bass solo in the middle makes the song an enjoyable closer. However, the feeling of repetitiveness and the overuse of prog tropes is still a major hindrance towards Karmakanic reaching its full potential.